American tenor Jason Papowitz’s credits include such leading roles as Pinkerton, Manrico, Rodolfo, Danilo, Don José, Alfredo, Cavaradossi, Riccardo, Radamès, Einsenstein, Herman, and the title roles in the world premieres of the operas Cain and the Turing Opera. 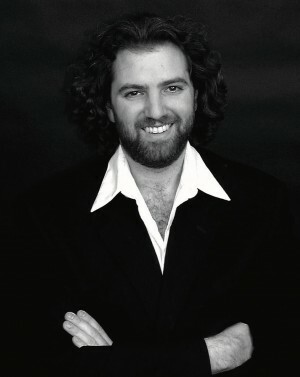 He has performed with such theaters and ensembles as the Greek National Opera; the Prague and Ostrava State Operas; National Opera Theater, Taiwan; Virgin Atlantic Holders Festival, Barbados; Plovdiv, Stara Zagora, Burgas, Vratza, and Bulgaria Hall theaters in Bulgaria; numerous theaters on tour with Eurostage and Opera Verdi Europa; Santa Margherita, Italy; Opera in the Heights, Texas; and Amato Opera, Taconic Opera, the Center for Contemporary Opera, One World Symphony, and American Opera Projects in New York. His extensive recital credits run from soloist in numerous oratorios through Three Tenor Concerts, Wagner Concerts, and the Prizewinner’s concert at the Mozarteum in Salzburg. In addition to being an honor’s graduate in philosophy of both K.U. Leuven, Belgium (M.A.) and Vassar College (B.A. ), Mr. Papowitz has studied voice privately with such teachers as Franco Corelli, Arrigo Pola, Iris Adami Corradetti, Gianni Raimondi, and Bill Schuman.